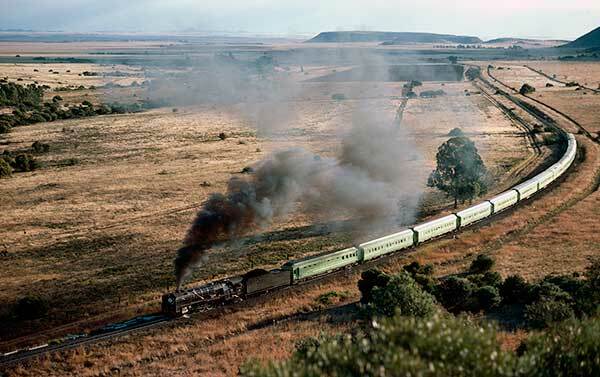 Caption - 30th May 1976 I am sitting on top of the hill at Kloofeind, west of Bloemfontein on the line to Kimberley waiting for the Drakensberg Express on its way to Cape Town. It appeared on time with a class 23 at the head of the thirteen coach train. The coaches were orinally built for the Blue Train. Didn't much like the livery of the coaches but it was a splendid sight.